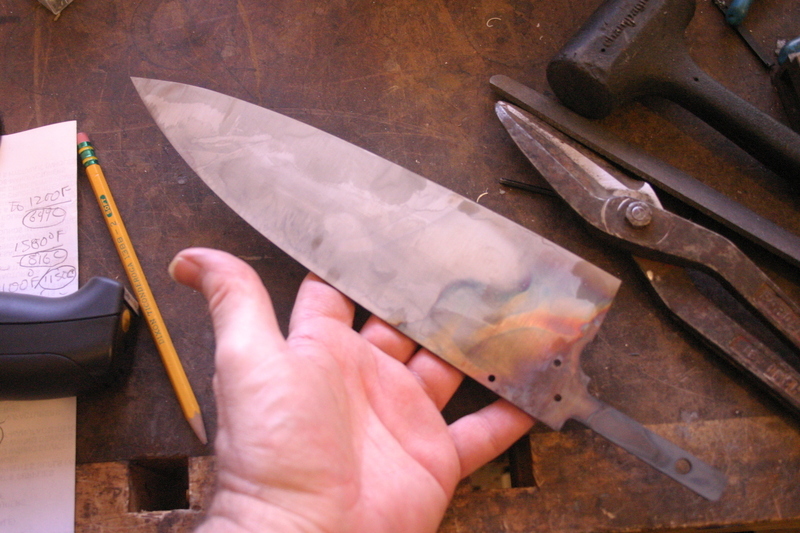 Here is the blade after the foil was removed and the tempering process has be applied. Note how the blade is only slightly discolored as it was protected by the foil wrap. 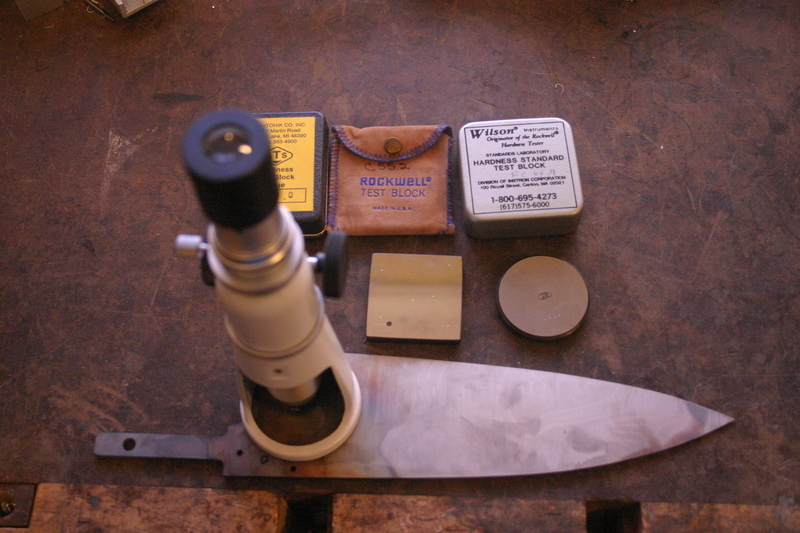 The next step is to check the hardness of the blade. The target is 60 to 61 rockwell C. By my results Dan's chef blade achieved that range. 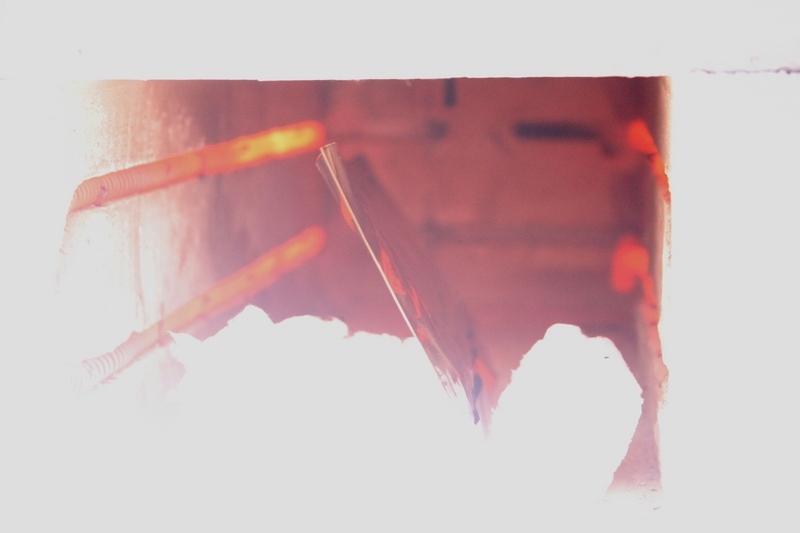 The primary angle of the blade is then reground to remove any shifting of the steel during heat treating and to create a smooth cutting surface. At this point the edge is between 0.008 and 0.010 thick. 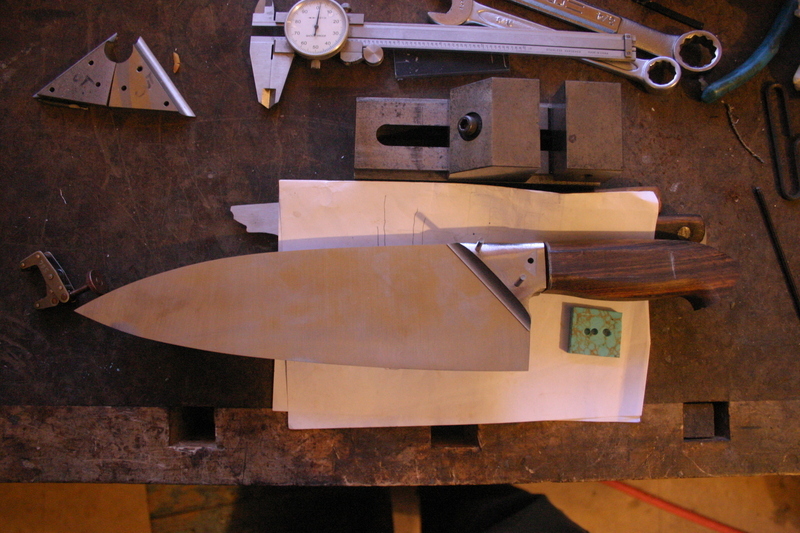 Here is the first fitting of the handle, bolster and blade in which I check the alignment and fit of the handle to the tang and bolster.